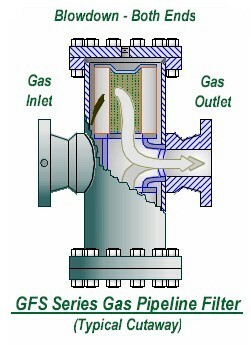 GF Series Gas Filters are inline, pad mounted units which are designed to provide top performance in all dry gas filtration applications. • Low Pressure Drop . 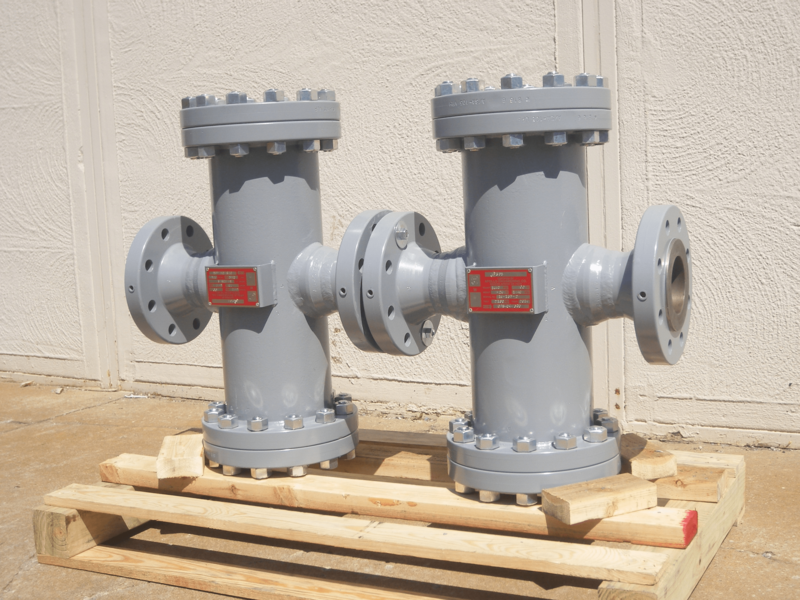 The GFR Series Gas Filter is another line supported unit that was designed for gas distribution applications. 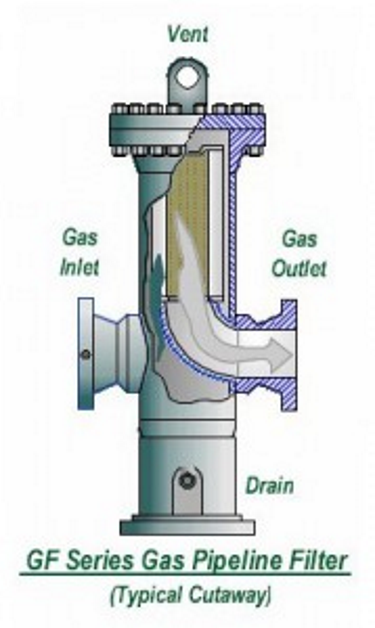 The single element, one entry design makes maintenance easy. 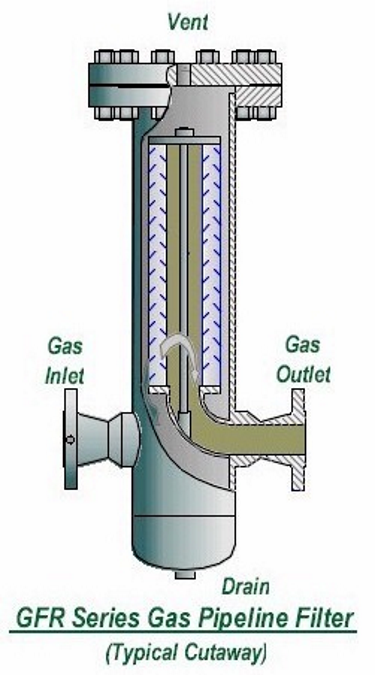 Units are normally installed top up, but can be mounted in any orientation. 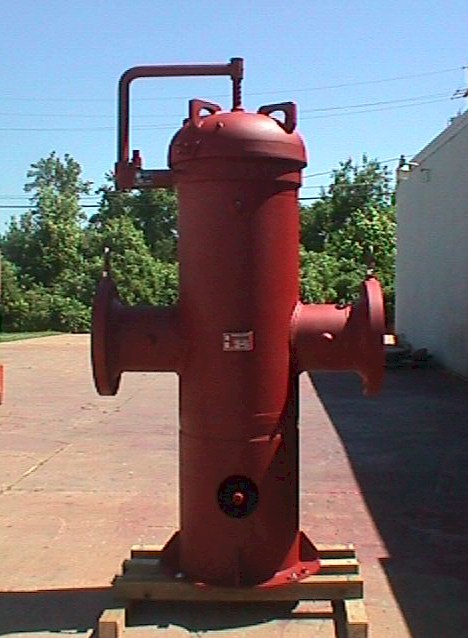 The GFS Series Gas Filter is a line supported unit that was designed for gas distribution applications to prevent, weld slag, mill scale, pipeline rouge and other debris from damaging meters, regulators and other sensitive equipment. These versatile units can be mounted in any orientation and feature access at both ends for extremely easy clean-out and maintenance access.